Community is at the heart of everything we do. We're the UK's largest leisure operator and the first and largest leisure social enterprise, so we have a lot to be proud of and aim to still do more to promote fitness, sport, leisure and health to the communities that we serve. We are looking for an experienced and passionate Community Sport & Health Manager to help us to widen the participation of community sport and health physical activity in the North Kesteven. Working across our leisure facilities in North Kesteven partnership, you'll manage a small team of community sport and health specialists, working together to encourage an active and healthy lifestyle to communities across North Kesteven. This is an interesting role that will use your passion for sport and communities as well as your people skills. The main objective of the role is to interact with the community to encourage and increase participation in activity. You'll be dealing with a range of people as diverse as school children, the elderly, disabled people, women & girls, BAME as well as people who have been referred to our centres by healthcare professionals, so you'll need to have excellent communication skills. Amongst others, you'll work closely with senior managers and teams in the centres, as well as community groups, clubs, third sector organisations, schools and North Kesteven District Council to ensure you can implement and maximise the programmes that you'll be offering. This is an exciting time to be joining us, as sport community and health is a key focus in North Kesteven. 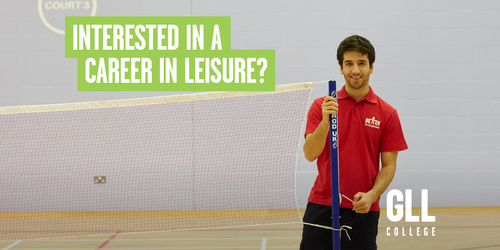 Ideally, you'll have a degree in sports development or a sport-related subject and be able to demonstrate your experience of working with people in a sport/leisure setting such as through coaching and teaching. Although working as part of a wider team, you'll be expected to manage your own workload, be self-sufficient and confident managing a small team. You'll be comfortable dealing with stakeholders at all levels and adept at giving presentations. A creative thinker, you'll thrive on devising new initiatives to work with the community to foster their participation in sport and exercise.